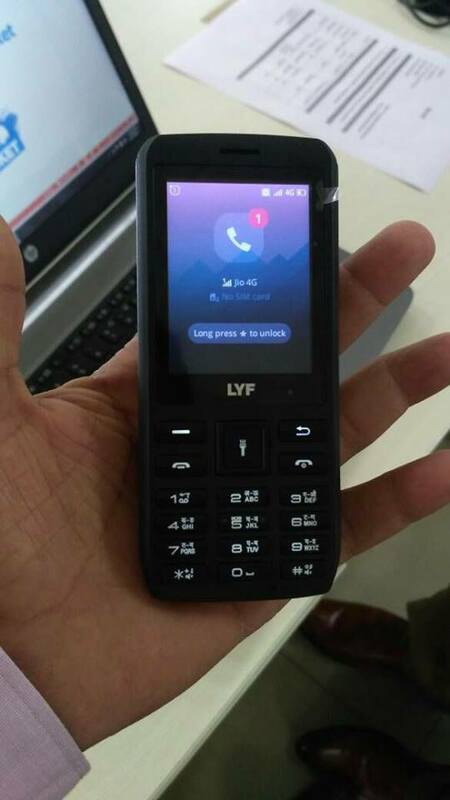 Reliance Jio who disrupted the Indian telecom market with affordable tariff plans and bagged 100 million subscribers in no time is now looking to add more subscribers by launching an affordable feature phone. Last month, a rumour said that the Mukesh Ambani-led company would launch two variants of the device with different chipsets under-the-hood. And now, a new image has surfaced online (posted by Techupdate3), which shows a completely different device from the earlier leaked one. 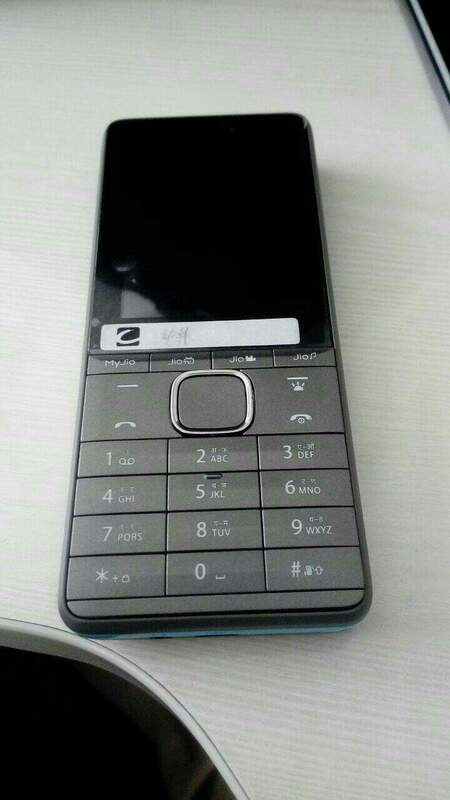 The feature phone in the image has LYF branding, which means that RJIL is looking to launch the device with LYF branding. It was rumoured earlier as well. The mobile phone has a keypad along with a torch light home button. There’s a call button, call disconnect button, a menu button, and a back button. As mentioned earlier, the device in this image is nowhere close to the one spotted earlier this year. Now, this comes in-line with the last month’s rumour, which stated that the device would be released in two variants- one with Spreadtrum chip and the other one powered by the Qualcomm 205 Mobile Platform. Qualcomm recently announced the 205 Mobile Platform for India, which brings support for LTE and VoLTE. Also, today’s leak shows there’s a Jio 4G SIM card in the phone. Going by the earlier rumours, there will be a 2.4-inch display, same as the Nokia 3310, along with a 2MP camera at the back and a 2MP front-facing camera as well. Furthermore, the device may also come with support for Wi-Fi and Bluetooth, which is unusual for a feature phone. It’s also said that the feature phone will include 512MB of RAM and a 4GB of storage as well to store files in the device. There will be a microSD card support for storage expansion. Coming to the pricing department, the Spreadtrum variant will cost little above Rs. 1,700, while the Qualcomm 205 variant might set you back at Rs. 1,800. The launch date of the device is still unknown. With High Speed Mobile Data Tariff Going Low, Do We Need a Wired Broadband Connection in Today’s Time? I think u know better than Mr Ambani .Even he might not have thought so much.